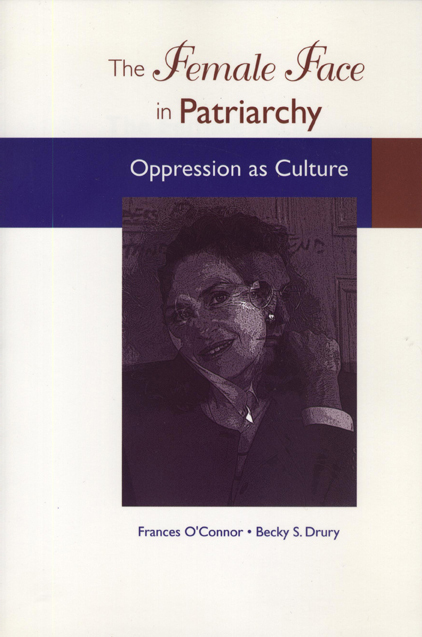 The Female Face in Patriarchy discusses women's complicity in patriarchal dominance and their role in fostering their own oppression. This work, the result of a two-year study by Frances O'Connor and Becky Drury focusing on Brazil and the United States, examines how and why women are participants and promoters of their own oppression in the Roman Catholic Church. Using the Church as a model for society in general, The Female Face in Patriarchy demonstrates how women, through centuries of conditioning, have become both victims and perpetrators of their own oppression and how their cooperation with, and submission to, patriarchal dominance has been both conscious and unconscious. The authors begin by asking tough questions: How does patriarchy deform a woman's soul? How and why does a woman embrace patriarchy? What are the ramifications of female patriarchal behavior? Their conclusions are based on data gathered through hundreds of personal interviews with women in parish settings and small communities. Leading Catholic feminists were interviewed about their theories as to why women are co-opted by the patriarchal system. The experiences of grassroots sisters and other women were compared with, and used to either corroborate or refute, the assumptions and theories of leading American and Brazilian feminists. Women are formed to hang their heads. Becky S. Drury is the Director of Development for the University of Pittsburgh's Semester at Sea Program. Is Healing Possible in the Wake of Rampage Shootings?